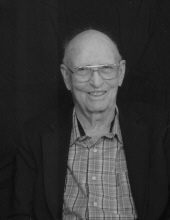 Alvin Lloyd Riddle, 93, a longtime resident of San Marcos, TX passed away on Sunday, November 11, 2018, in Austin, TX. Alvin was born in Mertzon, TX on October 15, 1925 to Lloyd W. Riddle and Vera (Williams) Riddle. Following high school graduation, he served his country honorably in the U.S. Army Air Corp during WWII. He was preceded in death by his parents, his loving wife Iris, only son Alvin Lynn Riddle and brothers James, Carl and Tom Riddle, and son-in-law, Wyatt Walker. Mr. Riddle is survived by his daughter, Sharon Johnson and her husband, Beryl of Bryan, TX; daughter, Jeanne Wagner and her husband, Thomas of Midland, TX; daughter, Molly Walker of Houston, TX; daughter, Elizabeth Kay Wiatrek and her husband, Robert of Austin, TX; grandchildren, Sherry McMillin, Cathy Glasscock, Vicky Hintermaier, James Walker, Garrett Walker, Jessica Wiatrek and Sarah Wiatrek; and eight great-grandchildren. He is also survived by brother-in-law, Douglas Hodges and wife Georgia, and sister-in-law Maxine Riddle. Alvin’s funeral service will be held at 10:00 a.m. on Saturday, November 17, 2018, at the Calvary Baptist Church in San Marcos, TX. Alvin greatly enjoyed his life as a husband, father, salesman, Sunday School teacher, sports fan, hunter, and fisherman. He enjoyed people and had a great number of close friends. A visitation and viewing will begin at 9:00 a.m. at the Church before the service. Interment will follow at Memory Lawn Memorial Park in Martindale, TX. For more information or to sign the online guest registry, visit www.thomasonfuneralhome.com. (512) 396-2300. To plant a tree in memory of Alvin Lloyd Riddle, please visit our Tribute Store. "Email Address" would like to share the life celebration of Alvin Lloyd Riddle. Click on the "link" to go to share a favorite memory or leave a condolence message for the family.